February 2018 marks the 100th anniversary of the Representation of the People Act 1918, which saw The Suffragettes’ relentless campaign for equal voting rights for both genders, finally paying off. The Act allowed some women, over the age of 30, to vote for the first time, and by 1928, women received the vote on the same terms as men. Having held senior positions at several large companies, Dido Harding is the embodiment of strong female leadership. During her seven years as Chief Executive of TalkTalk PLC, she oversaw the transformation of the company’s customer service, turning it from Britain’s most complained about telecoms operator to an award-winning provider. She also led TalkTalk through one Britain’s most high-profile cyber attacks, being praised by a Parliamentary Committee for her transparent and strong crisis leadership. Kathryn Parsons is on a mission to increase the statistics for women working in technology. She is co-founder and CEO of Decoded, a technology education company, which launched with the promise to teach anyone Code in a Day. The firm’s accelerated learning experiences have since expanded to include the worlds of code, data, innovation, cybersecurity and artificial intelligence. In addition to growing and scaling the business, Kathryn is a regular keynote speaker and campaigns globally for code on curriculums and gender diversity in technology. Rachel Botsman is the global authority on an explosive new era of trust and technology. An award-winning author, speaker and University of Oxford lecturer, she has contributed to Wired, The Guardian, The Economist, and more. Rachel’s successes have been appreciated by many – She was named one of the “Most Creative People in Business” (Fast Company); a “Young Global Leader” (World Economic Forum) and received the Breakthrough Idea Award (Thinkers50) for a “radical idea which has the potential to change the way we think about business forever. Professor Sarah Harper is one of the world’s leading authorities on global demographic trends and their economic, political and social impact. 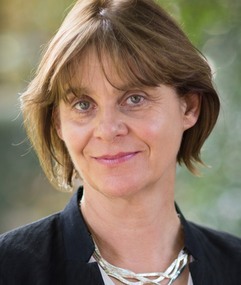 She is Professor of Gerontology at the University of Oxford, Director of the Oxford Institute of Population Ageing and Senior Research Fellow at Nuffield College. Sarah’s research addresses demographic change with a particular interest in Europe, Asia and Africa. Following her doctoral work in population studies at Oxford, Sarah trained with the BBC as a News and Current Affairs Reporter and Producer, working in both TV and Radio for BBC News and BBC Newsnight.